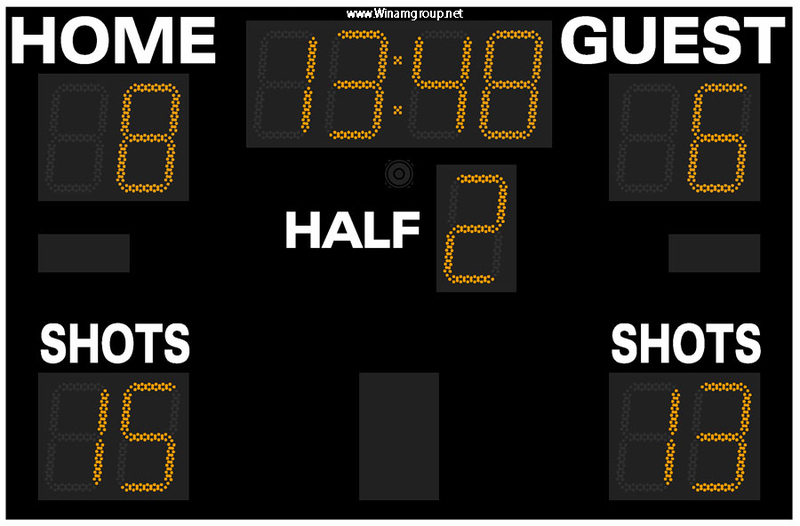 This single-sided clock shows game time, shot time, and end-of-period lights with bright LED digits. 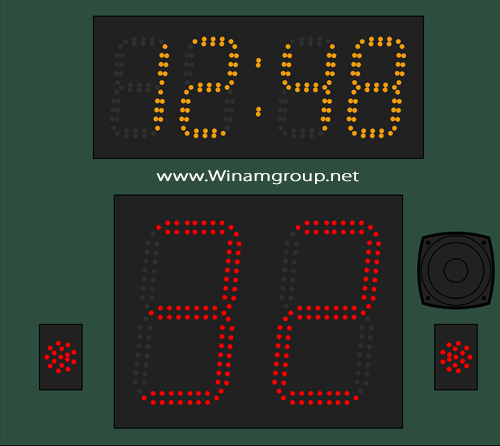 An adjustable 8 tone 125dB horn provides distinct, separate tones for end-of-period and end-of-shot clock notifications. The electronics are housed in a rugged powder-coated aluminum chassis that is engineered to sustain in-game ball impacts. The unit provides a variety of mounting options to install to your wall or other structure. 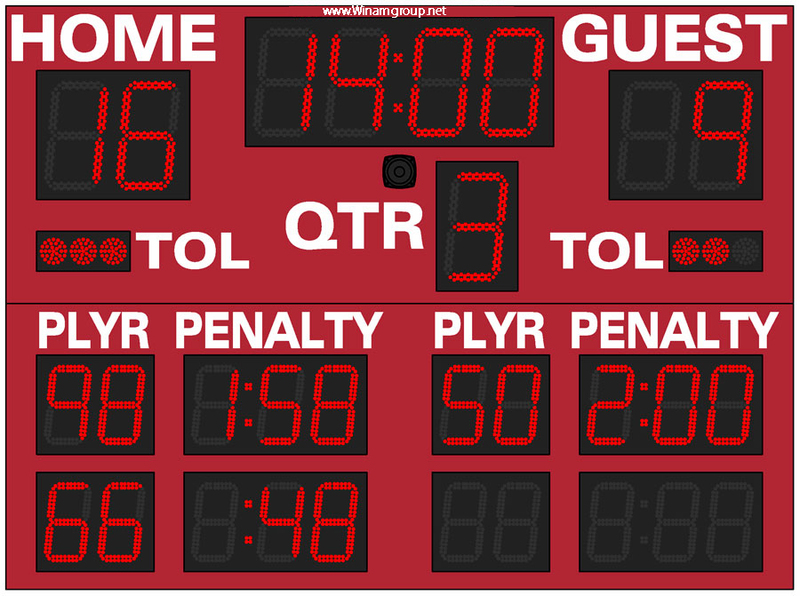 The clock also provides integrated outputs for backboard lights and auxiliary clocks. With no hidden fees, each clock INCLUDES: built-in wireless capabilities, built-in horn, and free customization options. Wireless Handheld Controller (WHC-1) provides integrated 2.4 GHz wireless scoring technology, and features an operating distance of up to 1,000 feet. The unit has 12 independent channels and 16 independent networks per channel that provide reliable communication for up to 192 separate games at a facility. For convenient installation the display has threaded inserts on all sides to accommodate mounting to a variety of applications. Wall mount, mast mount, and structure mounts can all be specified for efficient installations.